An enticing place to host a special occasion if coveting an exceptional yet unassuming indoor wedding facility is the chapel at Forest Suites. Ideally located near the center of town and only a moment’s walk to the gondola base of world-famous Heavenly Mountain Ski Resort and distinguished Heavenly Village, this lovely chapel that sits in the midst of forested acreage is a model site for those desirous of an intimate yet fashionable wedding. 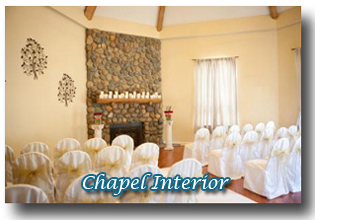 The chapel’s prime location is considered one of several pleasing amenities. In addition to allowing trouble-free access and digress for you and your guests, its suitable geographical positioning also lends to convenience, delivering a large assortment of options in the proximate surrounding area for where the festivities can take place after the ritual concludes. 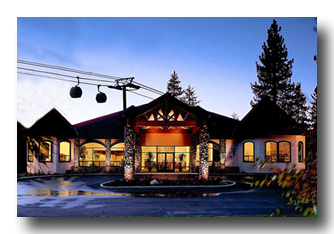 Banquet halls and local restaurants that offer private celebratory rooms are plentiful, and many are within a stone’s throw of the event site. 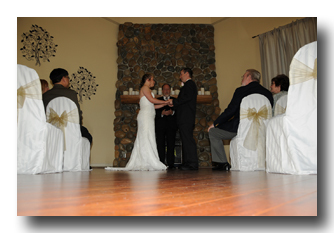 A generous selection of lodging is also only a short jaunt away, and accommodations can even be made at the resort where the wedding chapel resides. The chapel’s trendy inside embellishments that are suitable for either formal or informal attire consist of a basilica styled ceiling, a rock fireplace, and festooned seating that comfortably seats up to 50 guests. The contemporary ornamentation generates a contented and charming tone in addition to a vivacious ambiance that will further enhance the inimitable experience on a very special day. 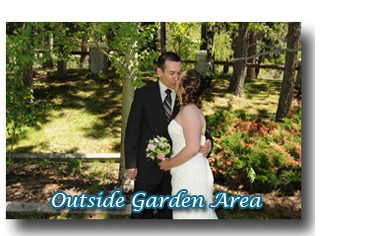 Although a vast amount of weddings in Lake Tahoe occur year-round in the open air, an indoor ceremony edifice is a great alternative and, during the unforgiving times of seasonal change, serves as a hedge against the bitter cold of a wintertime blizzard. The winter season often brings blustery storms that could inhibit plans for an outdoor ceremonial affair, so the assurance of having an enclosed chantry can be quite comforting.